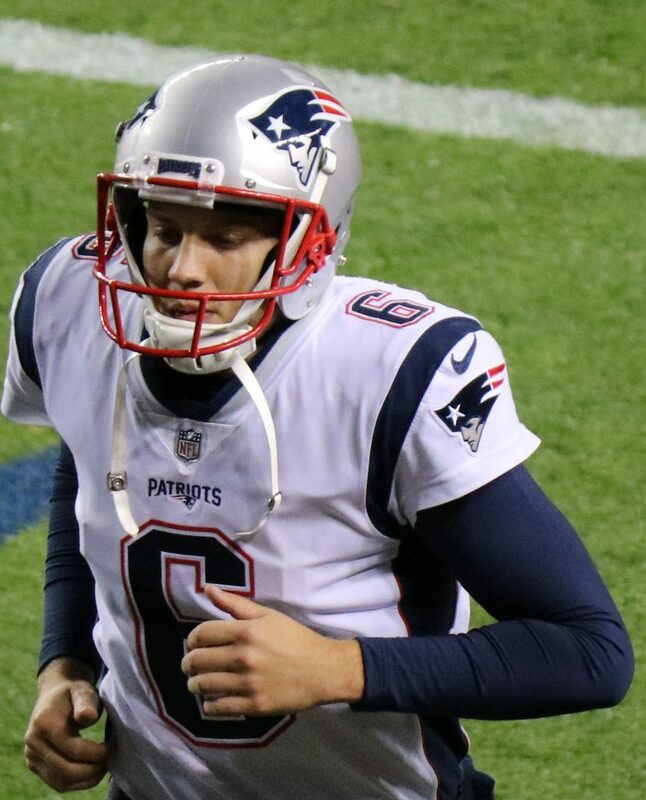 Ryan Allen won the Patriots the Super Bowl. Yes, Tom Brady drove the team down the field with his favorite weapons, Julian Edelman and Rob Gronkowski, to score the game-sealing touchdown. Yes, the Patriots were able to establish a run game against the Rams front of Aaron Donald and Ndamukong Suh. Yes, Stephon Gilmore made a clutch interception and Jason McCourty saved a Brandin Cooks touchdown. Yes, the defense as a whole only allowed three points against a team that averaged 32.9 points per game. But, when the Patriots found themselves struggling to move the ball, punter Ryan Allen came in and flipped the field, pinning the Rams deep in their own territory and giving his defense a better chance at forcing Johnny Hekker to give the ball right back. The punters’ duel that made up most of the game really was remarkable. Hekker even set the record for longest punt in a Super Bowl at 65 yards. While a game notable for having the longest punt and the lowest total score does not sound intriguing, it really was a master class in punt coverage, and the field position battle had a major impact on the final outcome of the game. Hekker averaged 46.3 yards on nine punts, and pinned the Patriots inside their own 20-yard line on five of them. Allen punted five times with three inside the Rams own 10, averaging 43 yards per punt. But, looking at Allen’s punts, they all came in clutch. With 12 seconds left in the first quarter, Allen had his first punt of the game from the Rams’ 40. He punted out of bounds to the Rams six. The defense forced a three-and-out, and Hekker’s punt placed the Patriots at their own 37. They only had to drive 39 yards to set up a Stephen Gostkowski field goal—the first points of the game. Allen’s second punt, coming from his own 25, was his longest of the game. But, a 13 yard return and a holding penalty against the Patriots set the Rams up at their own 45. But again, the Pats defense forced a three-and-out and pushed the Rams back six yards, getting the ball back in Brady’s hands. In the second half, not only was Allen getting the ball deep into Rams territory, but his coverage team was getting to the ball quickly. It should not surprise anyone the value that special teams holds for the Patriots—clearly, as evidenced by this game—but to coach Bill Belichick, these are players that can truly win the game. Matthew Slater is a team captain despite being the fifth wide receiver on the depth chart because he is one of the best in the league in special teams, and is a seven time pro-bowler. Similarly, Nate Ebner is a fifth string safety, but crucial to the punt team. Both players could be described as “special teams aces.” They really are that good, and their importance showed when it mattered most. New England’s first punt of the second half came with about 10 minutes left in the third quarter. Allen lofted the ball 49 yards and Slater raced down the field to down the ball at the Rams 2-yard line. Then it was another three-and-out and the ball was back with the offense. However, Brady was not able to do much with that possession, and Allen was soon back out on the field. From his own 34, Allen gave the ball plenty of hang time, and right when the Rams’ returner, JoJo Natson, caught the ball, he was plastered by Slater for a one yard loss on the return. Allen’s final punt came early in the fourth quarter with the game tied at three. He dropped the ball inside the Rams’ 20, and long snapper Joe Cardona downed it at the seven. The Rams average starting field position after Allen punted was the 16-yard line. When Hekker punted to the Patriots, Brady and company had an average starting position at the 20, and they can thank the play of their defense for forcing Hekker to punt from worse field position. Four yards do not sound like much of a difference, but over an entire game as close as this one was, even the slightest advantage can push you over the top. Coming out of the offensive thriller that was the AFC championship game, you could say that the Super Bowl being marked by a punters’ duel makes for a boring game, and yet, by virtue of the close score, I was on the edge of my seat the whole time. One mistake could have swung the game in an entirely different direction. One bad punt or one good return could have given either team a huge advantage. But, following a championship weekend with two overtime games and an AFC Championship game that was one of the most exciting of the entire season with 38 combined points in the fourth quarter, any outcome would seem boring in comparison. And there was still a lot of salt about the Patriots winning the coin toss in overtime and never giving Patrick Mahomes a chance to get on the field. While I’m convinced that had the Chiefs won the toss and drove down the field for a touchdown, people would not be complaining about the overtime rules, the Patriots prevailed over the Chiefs (for the second time this season). For many good and decent people that is the worst outcome regardless of how exciting the game was. But the more important lesson that can be drawn from the AFC Championship game is that football is more than just offense. The Chiefs needed to get just one stop in overtime. Instead, Tom Brady was able to convert every single one of the long third downs. One stop can change a game. So can one punt. Noah Telerski Noah Telerski is a junior in the college studying government and economics and is the managing editor of the Voice. He enjoys playing his guitar, talking about New Hampshire, and wearing Hawaiian shirts on Fridays.